Making your own spot brush cleaner is super easy and so much cheaper than buying brush cleaner from your favourite brand. If you actually look at the ingredients on your brush cleaner, you will most probably see the items I have listed below in the ingredients tab. You only need 70% Isopropyl to properly kill germs, and disinfect your brushes. The Lavender oil, gives the cleaner a nice scent and takes away the slight alcohol scent and the added Tea Tree oil as natures antiseptic gives the cleaner an added boost. Isopropyl Alcohol - I use the Diggers brand - which comes in a handy spray bottle (from Hardware stores) but you can buy larger bottles from beauty supply stores. Fill just over 3/4 of your spray bottle with the Isopropyl Alcohol, and top up with the Distilled Water, add about 4-5 drops of Lavender Oil and 2-3 of Tea Tree Oil. Place the lid on, and shake to combine. Thats it! You're done! 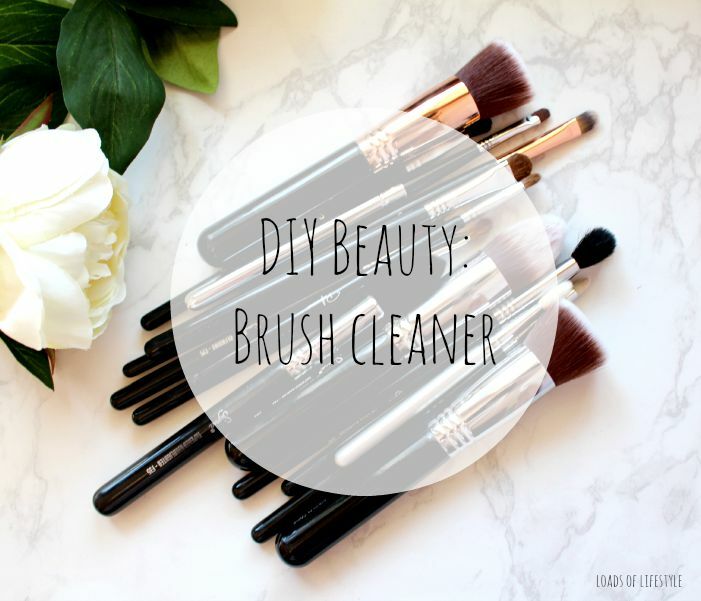 Super easy and a lot cheaper than a $40 bottle of brush cleaner! Spray onto paper towel and wipe your brushes back and forth to spot clean. I still recommend deep cleaning your brushes every 1 - 2 weeks depending how often you use them. Oh yeaah, I bought the Artiste brush cleaner only to realise it's basically isopropyl alcohol and fragrance. I felt a bit ripped off haha! This is a great idea though, I'll have to do it when I run out! I have the Artiste one too, however I think it smells horrible, and haven't used it since I bought it!! I know a certain brand that charge over $40 for a bottle of their cleaner, and it is literally lists the ingredients in my "recipe" its terrible, that they can charge so much for it!! Daydreaming of a New Spring Fragrance?